A class action antitrust lawsuit was filed on Thursday against United Egg Producers ("UEP") and other egg producers for alleged price-fixing. The Wall Street Journal wrote about collusion by the egg producers two days earlier, explaining that the producers defended their actions as being protected by the Capper Volstead Act. The 71-page complaint, available here, asserts that Capper Volstead does not apply to UEP, citing numerous reasons why the Act may not apply. For example, the complaint alleges that UEP is a trade group that does not market the eggs, some members are not producers, many members are vertically integrated, and UEP does not grow, ship, or sell the eggs. Even though UEP may have legitimately thought that their actions were protected by Capper Volstead Act, and the courts may eventually find that their actions are protected, UEP was pushing the limits of the Act, which have not been clearly defined by case law. In making business decisions, trade associations and other businesses should take into account the likelihood and potential costs of litigation, even if they believe that they will ultimately prevail on the merits. The lawsuit is captioned T.K. Ribbing's Family Restaurant v. United Egg Producers, Inc., et al., No. 2:2008cv04653 (E.D. Penn. Sept. 25, 2008). Related post: Trade Associations Investigated for Possible Antitrust Violations. Federal prosecutors are examining collusion by egg producers and tomato processors, according to an article in Tuesday’s Wall Street Journal. Food prices have risen in recent years due to rising energy costs, rising world demand, and drought, and -- for eggs and tomatoes, among other food products – also, in all likelihood, because of collusion. Fresh egg prices are up over 40% over the past year, tomato prices are up 16%, while overall food prices are up 6%. Possible Collusion Facilitated by a Trade Association: The United Egg Producers is a trade association with over 250 members that compete in the egg industry. According to the Wall Street Journal article, the Association facilitated a scheme designed to increase the domestic prices of eggs. The scheme, as described by the Wall Street Journal, functioned as follows: the United Egg Producers Association arranged for the export of nearly 24 million eggs at below-market prices in late 2006 to early 2007, and again in the spring of 2008. United Egg also reduced the supply of eggs by implementing requirements that producers use larger cages for their hens, and demanded that the producers not build additional cage capacity. Association members adhered to these practices, which resulted in lower egg supplies sold in the United States and higher prices for United States purchasers of eggs. Federal authorities are also investigating allegations that tomato processors conspired to fix prices, and at least one processor allegedly bribed buyers to pay inflated prices. The egg producers and tomato processors claim that their coordination is protected by antitrust exemptions such as the Capper Volstead Act, 7 U.S.C. §§ 291-292, which was passed in 1922 to allow farmers to collectively process and market their products. Part of the original intent of the Act was to give farmers greater leverage in bargaining with the much larger corporations that purchased their crops. To enable such collective action, the Act provided agricultural producers an exemption from the antitrust laws in “collectively processing, preparing for market, handling, and marketing . . . such products.” 7 U.S.C. § 291. An unused provision of the Act tempers the exemption somewhat, at least in theory, providing that the Secretary of Agriculture may issue an order to show cause why a cease and desist order should not be issued if he has reason to believe that an association restrains trade “to such an extent that the price . . . is unduly enhanced by reason thereof.” 7 U.S.C. § 292. Antitrust Scrutiny of Trade Associations: Historically, trade associations have been scrutinized – and prosecuted – for facilitating anticompetitive practices, such as price fixing, market allocations, or the development of standards to exclude competition. Trade associations often assume substantial legal risk as facilitators of potentially anticompetitive practices. Membership within a trade association often is comprised of competitors within an industry, and associations convene meetings and establish committees that involve competitors working together (or otherwise communicating) to help establish industry guidelines, policies, etc. Antitrust risk increases substantially when competitors, through a trade association (or otherwise), help establish guidelines, policies, rules, or practices that involve prices charged (or paid to suppliers), the geographic areas in which competitors will compete, the product markets in which competitors will compete, organizations with which competitors will or will not contract, terms upon which technology will be made available to organizations, or other competitively sensitive issues. Antitrust Counsel: To minimize antitrust risk, trade association activities should be closely monitored by experienced antitrust counsel, such as Kotchen & Low LLP, which has substantial experience in addressing concerns about trade association activities, and is available to consult with trade associations, members of associations, or entities potentially harmed by association activities. Exclusive NFL Headwear License: The NFL season kicked off recently, and millions of Americans have begun spending their Sunday afternoons glued to their television sets. The NFL is big business, including the sale of NFL-branded apparel. The Seventh Circuit issued a ruling a couple weeks ago on a case raising an antitrust challenge to the exclusive license of team names and logos for use on hats and other headwear. Plaintiff American Needle Inc. produces headwear, and had a non-exclusive license to produce headwear for the NFL for over 20 years. In 2001, NFL entered into an exclusive 10-year licensing agreement with Reebok for headwear and for other apparel. American Needle responded by filing an antitrust lawsuit, alleging a combination in restraint of trade in violation of the Sherman Act Section 1 by the NFL, NFL Properties, and the individual NFL teams, along with monopolization in violation of Section 2. Examining the evidence, the court found uncontradicted evidence that “the NFL teams share a vital economic interest in collectively promoting NFL football,” pointing out that a single football team cannot produce a football game. Thus, the Seventh Circuit held that the Copperweld exception applied, and that the NFL defendants functioned as a single entity when collectively promoting NFL football by licensing the teams’ intellectual property. It observed that antitrust law encourages cooperation within a business organization to promote competition with competitors, such as other entertainment providers. The Court cautioned that its ruling was limited, however, and that “[w]e have yet to render a definitive opinion as to whether the teams of a professional sports league can be considered a single entity. . . . The characteristics that sports leagues generally exhibit make the determination difficult. In some contexts, a league seems more aptly described as a single entity immune from antitrust scrutiny, while in others a league appears to be a joint venture between independently owned teams that is subject to review.” See American Needle, Inc. v. Nat’l Football League, __ F.3d __ , 2008 WL 3822782 (7th Cir. 2008). Big 10 Network: The NFL and its teams are not the only sport entities that are under legal scrutiny. The Big 10 conference and its affiliated schools recently have “pushed the envelope” with respect to the legality of their practices. Roughly two years ago, the conference and the schools started the Big 10 Network, a new network devoted only to Big 10 sports. The conference and schools share in the revenues of the network and, to maximize profits, demanded high fees from cable companies to carry the network. Cable companies across the Midwest have not willingly agreed to the Big 10 and the schools’ fees. In response, the Big 10 and its affiliated schools boycotted any cable company that would not pay their fees. This boycott resulted in a clear anticompetitive effect: a number of Big 10 football and basketball games that had been televised in previous years were not televised last year throughout the Midwest. In antitrust terms, product supply had been reduced. Fans were outraged, as were we at Kotchen & Low (we are big sports fans, and Daniel Kotchen is an ardent Wisconsin Badger fan). The Big 10 and the schools’ boycott carries substantial legal risk under the antitrust laws: a group boycott accompanied by an anticompetitive effect often violates Section 1 of the Sherman Act. In response to complaints from Big 10 fans, Kotchen & Low was researching and developing an antitrust suit against the Big 10 and its schools on a pro bono basis. The suit would have sought injunctive relief: a court order to televise Big 10 football and basketball games. While such a suit would have required us to overcome the single-entity defense addressed in American Needle, the Big 10 schools would have more trouble than NFL teams describing themselves as a single entity, as each of the Big 10 teams compete with teams from outside of the Big 10. We have stopped working on the case, though, because the Big 10 and cable companies have now come to terms, and the games are back on the air. 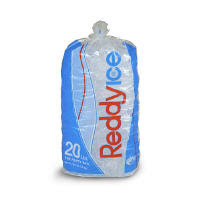 Sales Executive Suspended: Reddy Ice announced today that it has suspended its Executive Vice President of Sales & Marketing, Ben Key, because an internal committee's investigation found that he "has likely violated Company policies and is associated with matters that are under investigation." Ongoing Investigation and Lawsuits: The DOJ Antitrust Division and attorneys general of 19 states and the District of Columbia are currently investigating an alleged antitrust conspiracy in the packaged ice industry. Over 70 class action lawsuits have been filed against Reddy Ice, Home City Ice, and Arctic Glacier for alleged price-fixing. In addition, Kotchen & Low LLP has filed an action on behalf of Marty McNulty, alleging that he was fired and blackballed for his refusal to participate in the unlawful conspiracy. Recent media coverage of Kotchen & Low LLP's lawsuit includes an interview on CBC radio, an article in the Detroit Free Press, and an interview on NPR. Commentary: While the suspension of the Reddy Ice executive does not constitute an admission of guilt, it suggests that the internal committee was troubled by what they learned about the executive's actions. Revelations of DOJ Antitrust Investigation Lead to Over 70 Class Action Lawsuits Against Ice Manufacturers. DOJ Monopolization Report Issued, Criticized. 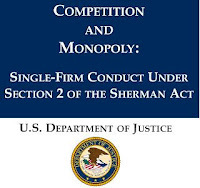 DOJ Section 2 Report Issued: The Department of Justice issued a 215-page report (.pdf) on September 8 entitled: Competition and Monopoly: Single-Firm Conduct Under Section 2 of the Sherman Act. Perhaps the best known Section 2 monopolization case in the modern era is U.S. v. Microsoft, in which my former boss, David Boies, is often credited with winning the case for the United States government. The Department of Justice retained Mr. Boies to lead the case on behalf of the government, and Mr. Boies’s videotaped deposition of Bill Gates during the litigation helped discredit Microsoft as a corporation and Mr. Gates as a witness. Possibly because of his behavior during the deposition (Mr. Gates appeared recalcitrant and evasive during the deposition), Mr. Gates did not testify at trial. Mr. Boies nonetheless used numerous video clips of Mr. Gates’s deposition to attack the credibility of Microsoft, which proved to be an extraordinarily effective tactic. In preparing witnesses for deposition, many lawyers now use the Bill Gates deposition videotape as an exemplar of how not to act during a deposition. Monopolization is also an issue in the consumer goods and retail industry, as with category captains and other dominant players in the industry, and industry stakeholders that are impacted by dominant firms should become familiar with monopolization issues. DOJ Report Seeks to Clarify Standards: The DOJ Report emphasized the desirability of “clear, objective” rules for Section 2 enforcement. The Report addresses single-firm conduct issues, such as exclusive dealing, predatory pricing, tying, bundling, loyalty discounts, and refusals to deal. The DOJ based its Report partly on input it received at a number of hearings about Section 2 that DOJ held beginning in June 2006, including a “broad array of views” presented by “[a]cademics, business people, and antitrust practitioners.” (Report at vii). Not Binding, But May Be Persuasive: While the DOJ Report is not binding, it may influence at least some courts assessment of single-firm practices subject to a Sherman Act Section 2 challenge. For instance, a colleague of mine who is serving as an economic expert witness in an ongoing antitrust case is currently rewriting his expert report to incorporate aspects of the DOJ’s Report. But the extent to which the DOJ’s Report will be adopted by courts is unclear. Many of the enforcement policies the DOJ enunciates in the Report have been criticized as being too favorable to monopolists, and unsupported by economic or legal justification, including criticism levied against the DOJ by its sister antitrust agency: the Federal Trade Commission. FTC Criticism: The same day that the DOJ issued its Report, three of the four Commissioners of the Federal Trade Commission issued an 11-page statement that sharply criticized the Report. They questioned the Report in two main respects: (1) the Report is chiefly concerned with lax enforcement of dominant firms rather than protection of consumers; and (2) the Report “overstates the level of legal, economic, and academic consensus regarding Section 2.” Although the fourth Commissioner at the FTC, Chairman Kovacic, did not join the statement of his colleagues, he wrote a separate statement that did not endorse either position, but raised additional concerns about the Report’s shortcomings. Some commentators have suggested that the Report represents an effort by the administration to perpetuate lackluster antitrust enforcement beyond the upcoming elections. But in the critical statement by three FTC Commissioners – who include a Republican, an Independent, and a Democrat – the Commissioners stated that the FTC “stands ready to fill any Sherman Act enforcement void that might be created if the D[OJ] actually implements the policy decisions expressed in its Report.” Private parties may also help fill any void. My firm, for example, is currently involved in Section 2 cases and will likely help shape the extent to which the DOJ Report is adopted by courts. Consumer Goods Manufacturers. Consumer packaged goods manufacturers with large maket shares are sometimes designated by retailers as category captains to help retailers manage in-store displays and shelf space for that product category. Manufacturers who abuse their influence with retailers to fraudulently exclude competitors may be liable under Section 2, as in Conwood Co. v. U.S. Tobacco Co., 290 F.3d 768 (6th Cir. 2002), in which the Sixth Circuit affirmed a finding of a Section 2 violation where Conwood alleged that competitor U.S. Tobacco “used its role as category captain and/or manager to exclude competition.” With a recent trend among retailers to limit the skus stocked on shelf (sometimes referred to as “sku rationalization”), there may be greater opportunity for category captains to unfairly exclude competitors, and they should beware of the potential for violating Section 2 when encouraging retailers to exclude competing products. In-Store Advertising. As this blog has frequently discussed, News America Marketing has been accused of acquiring and exercising monopoly power to the detriment of competitors and retailers, and is soon facing trial over its allegedly anti-competitive conduct. Retailers. Retailers are often the victims of monopolization practices (in the context, for instance, of vendor or manufacturer practices) and are not typically subject to monopolization challenges. A retailer’s dominance in a market arises more often in the merger context than in a monopolization context, such as a recent court finding that the Whole Foods – Wild Oats merger gave Whole Foods a dominant share of certain markets. Conclusion: Stakeholders in the consumer goods and retail industry that themselves are dominant firms or that are impacted by dominant firms should review the DOJ’s Report and become familiar with monopolization and other Sherman Act Section 2 issues for which a stakeholder may be held accountable or for which a stakeholder may rely on to ensure that it’s competing on a level playing field. While aspects of the DOJ’s Report may ultimately not be adopted by courts, the Report nonetheless is a helpful reference to understand the range of antitrust issues that concern single firm conduct under the Sherman Act. Related Posts: Valassis' $1.5 Billion Antitrust Suit Against News America Marketing Over FSIs; DC Circuit Reverses Ruling That Allowed Whole Foods Merger with Wild Oats.